I know there are a lot of "guests" on our board who probably would like to chime in and add to our discussions, but may be intimidated. I know I felt this way back in 2003 before I took the leap. Here I am 10,000+ posts later! HuskiemobileMan Wrote: I know there are a lot of "guests" on our board who probably would like to chime in and add to our discussions, but may be intimidated. I know I felt this way back in 2003 before I took the leap. Here I am 10,000+ posts later! Thanks for the invite. You are correct - there have been many times I've been reading the posts and wanted to chime in and add to the discussions. OK - so I've taken the leap. My son - former Huskie marching band member - got me into NIU football. I've been addicted to NIU football since the 2003 season. We have been season ticket holders for 3 years now and travel more than 4 hours round trip for all Saturday home games. I never miss a Bears game - gotta watch our Man - GW! Also try to watch other NFL teams with former NIU players on them. I live in Central Illinois - in the thick of ISU, Bradley, and of course Illinois fans. We proudly fly our NIU flag and wear our NIU clothes all the time here to support our team. And there is nothing more we want this weekend than to BEAT UT!!! My name is Nathan, and I have a problem. MaddDawgz02 Wrote: My name is Nathan, and I have a problem. college football but more importantly I love NIU!!!! Welcome Troy! Nice to hear from you. It's great to have such dedicated season ticket holders such as yourself. 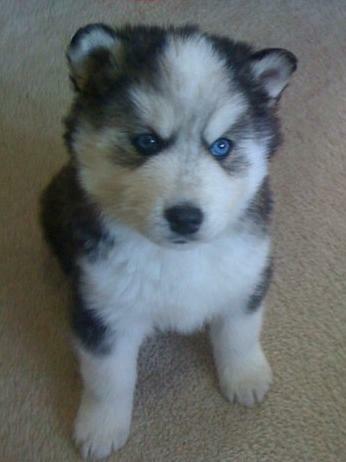 We all love NIU too so great news! Look forward to hearing more from you around the board! Yep, welcome Troy and thanks for signing up for the board. #1 - I am a born-again Christian (John 3:3 - Jesus answered him, "again, I tell you, unless one is born again he may not see the Kingdom of God".) See, it is already getting people extremely mad. Anything more than watered down Christianity makes people very uncomfortable. #2 - I am an avid supporter of my fraternity and Greek membership at NIU is frowned upon by over 90% of the student body. #3 - I am a true Conservative (not necessarily a Republican) and a free market capitalist. I cannot stand big spending Republicans and Liberal agendas and ideologies make me want to vomit. There you have it, a born-again, conservative frat guy. Now you can hate me. Otherwise, I'm a really normal guy with a wife, kids and a career living in the suburbs. Those who have met me in person and enjoyed a burger and cold beer at a tailgate actually like me and appreciate my purposeful agitation of other board members. 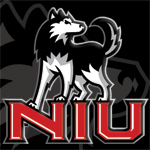 I love NIU and wish we had more competitive basketball and football programs. Franklin T. Parrish Wrote: Hi, I'm Franklin T. Parrish...you can all call me FTP for short. I like warm weather, rodeos, and accounting. This board is great... actually met you many times in the past - probably the most recent is when my daughter spilled your beer at the metrodome! Couple of my buds and I are actually down on the sidelines throwing the balls into play and we see you there front and center at every home game, and an occasional away game, when we can make it. Glad to be on the board and we'll see you in Shreveport! But you bought me another! Thanks! Cool meeting you and welcome to the board! The Woowie Wrote: Please see signature. I am here to make amends. I am here to give NIU the hero it deserves.